These past 12 months have been some of the busiest of my life! We moved twice, got married, traveled, got a dog and so much more in between. It should come as no surprise that, because of all that excitement, there’s been little time to sit and relax. 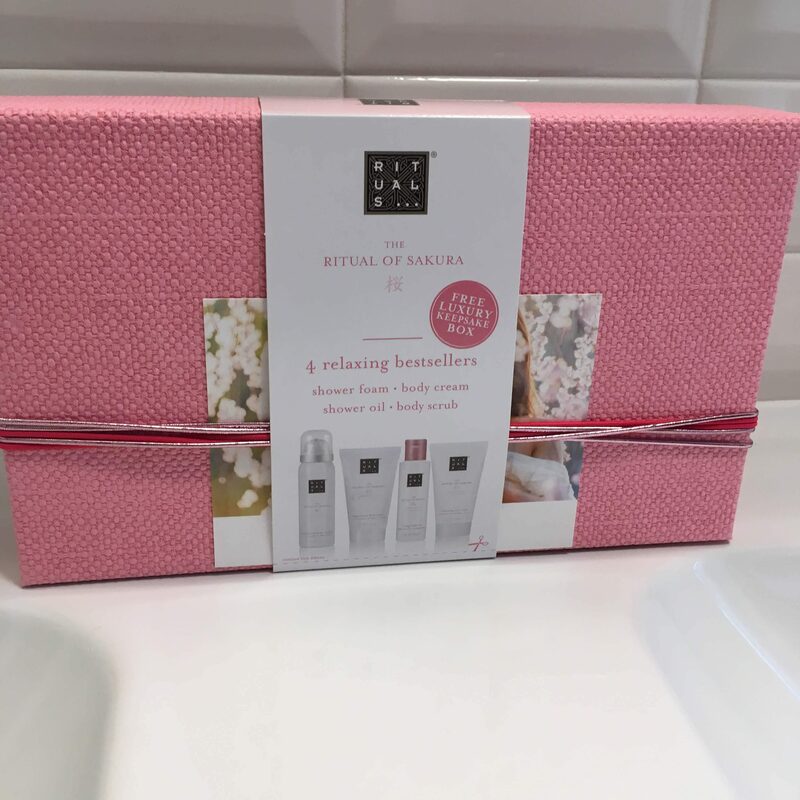 The dust has definitely started to settle over the last month, so it was perfect timing when Tryazon asked if I’d like to try out some pampering products by Rituals. Uh…don’t have to ask me twice! It came in the cute box (which, yeah, I’ve already repurposed for organizational purposes). Now, to be honest, the scent of the body cream was a little overpowering (super floral-y), but for some reason it wasn’t as strong with the shower gel. My favorites, however, were definitely the body scrub and shower oil. Maybe it was the scent of both, or the fact that I rarely treat myself to either, but they were both so relaxing to use. 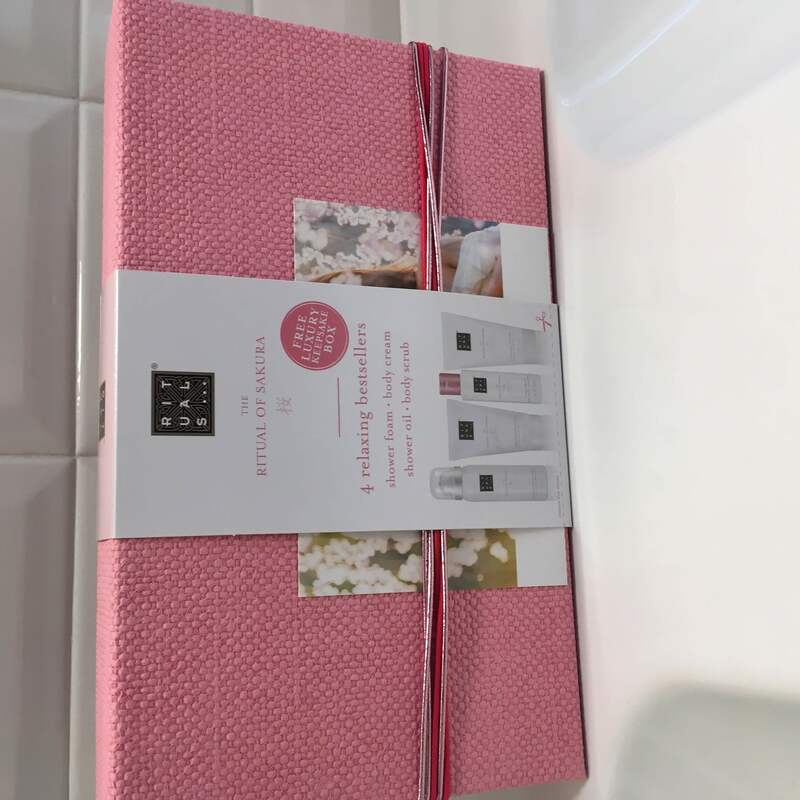 I’d definitely indulge in Rituals products again, but I’m wondering if they offer any other scents! What do you do to relax? What are you favorite indulgences?